World Patent Marketing Reviews A New Utility Patent. Will Power Plunger Be the Next World Patent Marketing Low Cost Success Story? "The Hand Tool Manufacturing industry is worth $7 billion," says Scott Cooper, CEO and Creative Director of World Patent Marketing. "The improving economic climate has facilitated a greater willingness by consumers to spend on home improvement projects." World Patent Marketing, a vertically integrated manufacturer and engineer of patented products, announces the Power Plunger, a utility patent designed to improve the way people unclog drains. The Power Plunger is a utility patent which provides a new and improved take on a traditional plunger. Made of highly durable materials, this invention comprises of a barrel which further houses a piston, a connecting rod and a crank designed with a pushing mechanism, the capability to use power to provide a more efficient pushing feature and a switch to turn it on and off when needed. What the Power Plunger accomplishes is provide a more effective way to unclog drains while preventing splash backs during the process. It is so easy and efficient to use that even the elderly will have no difficulty using the device. The Power Plunger is a utility patent designed for instant and more efficient unclogging tasks. 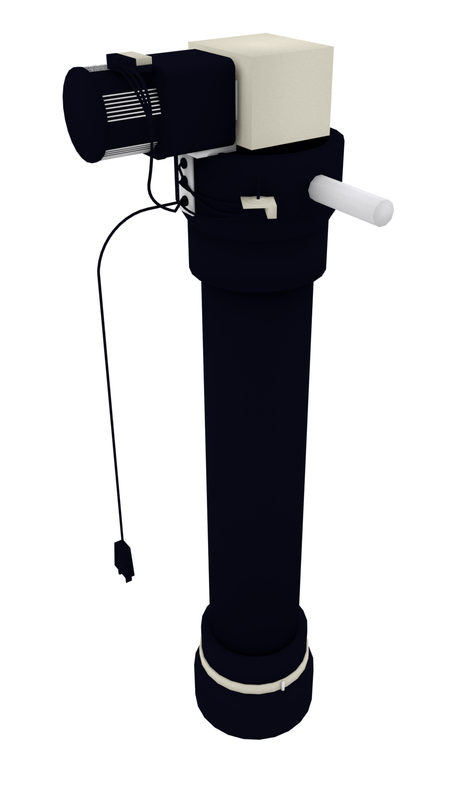 Power Plunger, a utility patent designed to improve the way people unclog drains. The Power Plunger is a utility patent designed for instant and more efficient unclogging tasks.